Butter London has become one of my favorite polish brands over the years, as my collection has grown from a handful of cheap drugstore bottles to nearly 150 bottles (thanks to all my friends who gift them to me!) 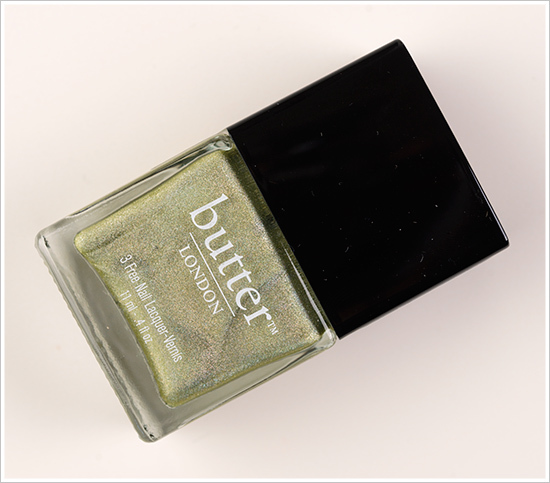 of brands like OPI, Sephora, Julep & of course, Butter London. At $15 a bottle, it's a little pricier investment, but they wow me with the best colors every season! That color...that sparkle...the slight holographic feel...this polish is definitely on my wish list.